This poignant post by Maia Villapañe addressing Agot Isidro for her recent remarks will give you all the chills. 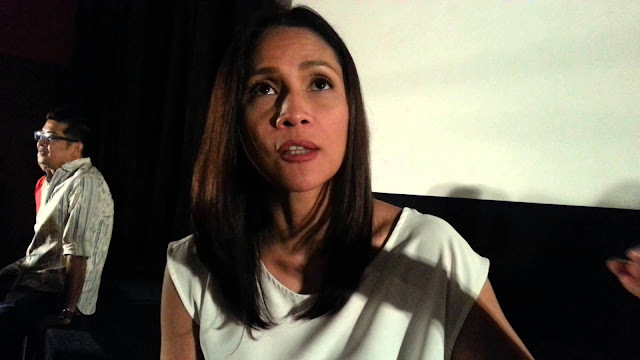 When I read Agot Isidro's horrible tweets mocking Jovie Espenido and the Admin's efforts against drugs, it's like she's basically saying Ozamiznons and Mindanaoans in general are second-class citizens and this is painful. You know, Agot, there are a handful of memories from my childhood in Cagayan de Oro that are crystal clear, and some stand out not because they were happy, but because they were traumatic. At 7, I was already exposed to the dangers of shabu. We had a neighbor who was aggressive because of his addiction, and while I was protected well enough from him ever laying a hand on me, I was often woken up by the sounds of him either beating up his wife or causing a ruckus that would wake other neighbors up. I remember seeing a trail of blood leading to the back of our house where he sat, eyes bloodshot, face ashen, and body trembling. His knuckles were bloody and his wife tended to his wounds and ignored the bruise she was sporting on her jaw. I wouldn't know until much later but drugs had been the cause for his bloodied fists and his wife's bruised jaw. He'd hallucinated and punched a mirror, and his infant daughter had to be taken to his mother's house for safety. When he raised his head and looked at me, I felt afraid for myself and ran back inside my house because he looked devoid of any feeling and his stare was chilling. After that, any time I would see him, I hid, but I was never able to banish that dead eye stare from my mind. Ever. Agot, you may not like the President and the people he backs up, but for the citizens of Ozamiz who had to live with the black and cruel legacy of the Parojinog clan for years, Jovie Espenido and by extension, President Duterte's open declaration of war against narcotics was their only hope. It is painful to me that you, swarthed in elitism and living in your ivory tower, refuse to understand what others go through despite your background of being educated in UP -- an institution that (should) emphasizes on the importance of service to the country from its alumni. You may have a Constitutional right to free speech, Agot, but you don't have the monopoly on it either. So don't whine or cry or blame the other side if they get pissed at you to the point of venting their anger out on you. It is a decades-long anger over a situation that went ignored and caused undue suffering. It has reached boiling point and it is justified. You've made your bed and you must lie in it, or make a concerted effort to broaden your understanding. You advocate for mental health awareness, but that doesn't give you the license to be an armchair psychologist and diagnose as you see fit, like what you did (and were applauded for despite its exponential WRONGNESS) with the President. Don't make it hard for fellow mental health sufferers like myself by committing that mistake. Yeah, Agot, I'm not over that either. And I never forget.